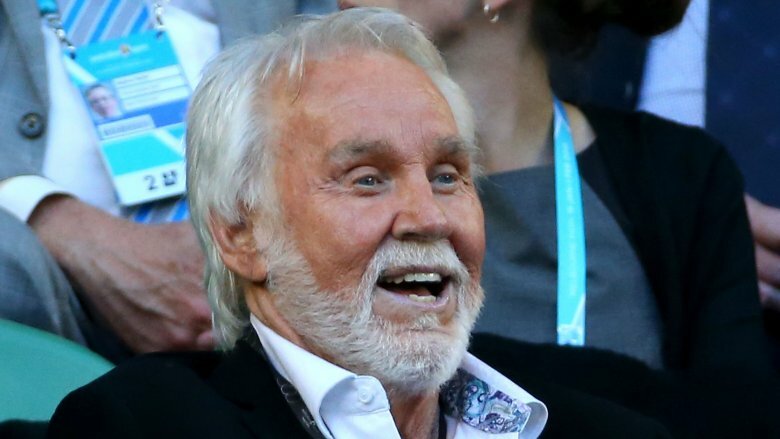 Kenny Rogers has been around for what feels like forever. After breaking out in the 1960s with his rock band, the First Edition, Rogers found his calling as the silver-foxed purveyor of playful, story-based country-tinged pop and pop-tinged country songs like "Coward of the County," "Lucille," and "The Gambler." 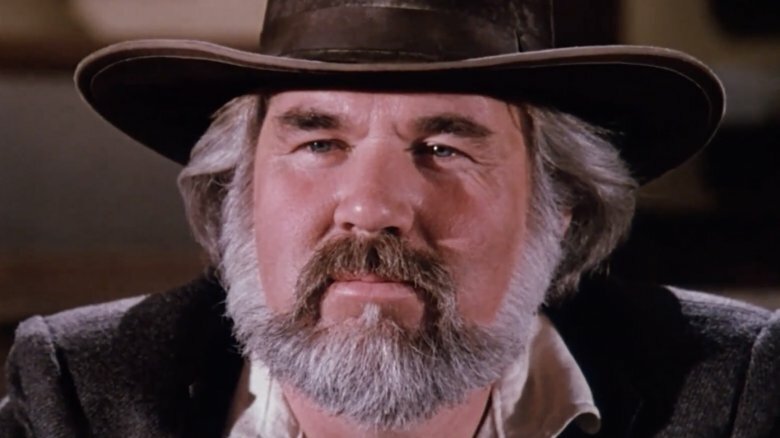 The latter provided the chance for Rogers to cross over into acting, and he appeared in five made-for-TV movies based on the song about an old-west card shark. As the '70s gave way to the '80s, Rogers dominated the era's soft rock, scoring hits with ballads like "Share Your Love With Me," "We've Got Tonight," and "She Believes In Me." 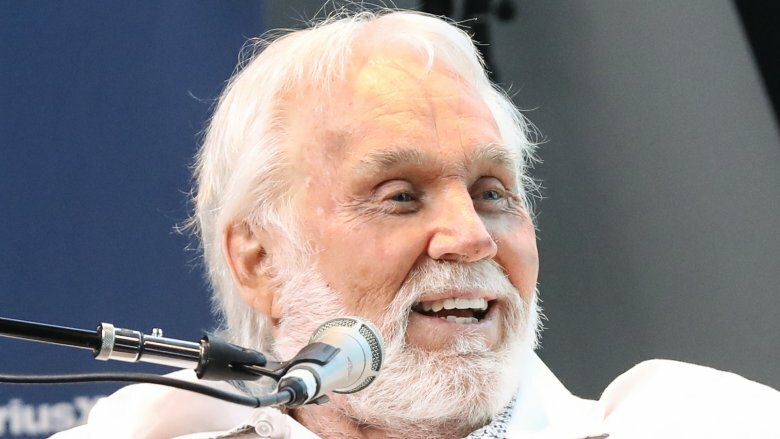 Kenny Rogers remained a fixture in country and soft rock for the next 30 years, touring constantly, releasing dozens of albums, and even lending his name to a chain of chicken restaurants. But everybody knows that — here's some stuff you might not have known about the most famous gambler in the world. Kenny Rogers' first taste of success came with his high-school doo-wop group called the Scholars. The quartet released six singles over 1956 and 1957, as well as a novelty song called "The Poor Little Doggie." The Scholars quickly fizzled out, and Rogers embarked on a solo career for the first time. He performed his single on American Bandstand as well as a Texas program called The Larry Kane Show. That's also where the singer, going by Kenneth Rogers at the time, got his "stage" name. In an interview with Rolling Stone, Rogers said, ""As I am going out Larry says, "You know you can't call yourself Kenneth Rogers." I said, "That's my name! What would you call me?" "Kenny Rogers," he said. Not quite a superstar yet, Rogers then joined a jazz group called the Bobby Doyle Trio, then sang and played double bass in the popular folk ensemble the New Christy Minstrels. After two years in that kind-of-square outfit, Rogers and three Christy coworkers started a lightly psychedelic pop-rock group called Kenny Rogers and The First Edition, which had a huge hit in 1968 with the as-featured-in-The Big Lebowski single "Just Dropped In (To See What Condition My Condition Was In)." 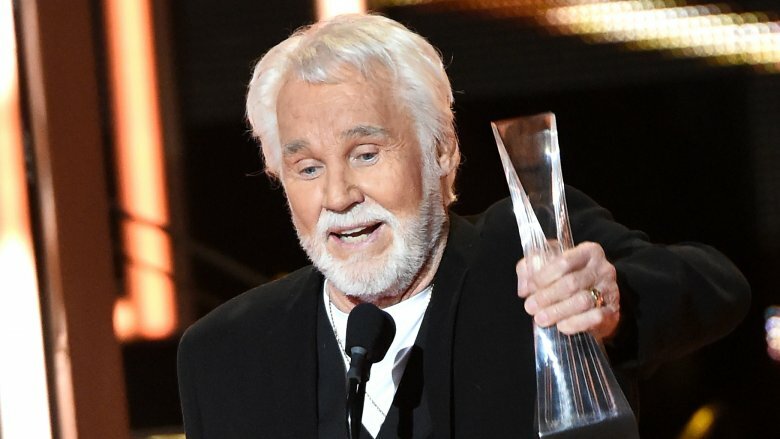 Hey, Kenny Rogers does kind of look like The Dude. Would Eagles fly without Kenny Rogers? Imagine a world without the Eagles, or rather "Eagles" as the powerfully smooth '70s supergroup prefers to be known. No Eagles? No plaintive wailing of Don Henley as he accompanies himself on the drums? It's like a Black Mirror episode written by your dad, and without another one of your dad's favorite musicians, Kenny Rogers, it might have been a reality. The Gambler himself gave Henley his big break. In the late '60s, the drummer formed a band with some friends from his hometown of Linden, Texas, called Shiloh. One day in 1968, they were in a clothing store in Dallas called the Electric Rocking Horse, when fate intervened in the form of a kind, bearded stranger. "We were buying bell bottom pants and Nehru jackets and stuff," Henley told CBS Sunday Morning, while Rogers was hanging out "because there was a really beautiful girl working there." They struck up a conversation and a friendship, and as Rogers told Rolling Stone, he "took them to L.A. and they lived with me for six months." Rogers also produced Shiloh's self-titled album, its one and only LP. And while he was in Los Angeles, Henley met Glenn Frey, and together they joined Linda Ronstadt's backing band before quitting to start their own group and check into the Hotel California. 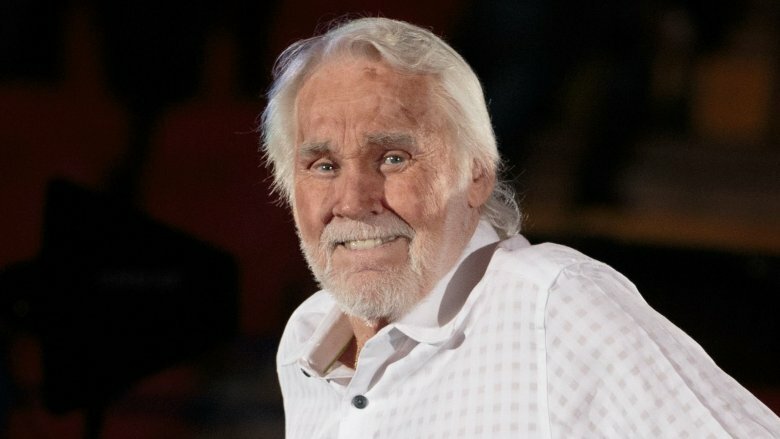 Kenny Rogers has appeared atop lots of lists — Billboard charts, mostly — but he also claims to have been almost as naturally talented and successful at something besides music: tennis. Rogers began playing the sport in earnest when he was 37 years old and used his vast resources to quickly improve his game. "I carried a tennis pro. I carried a couple of them with me on the road everywhere I went," he told the BBC. "I had my own plane, so we just flew from city to city, and we'd get into town and we'd play the pro and assistant pro at one of the clubs." And so it went like that for as many as eight hours a day for ten years. Rogers told Rolling Stone that he "developed a national ranking while I was on the road playing with Wimbledon champions." Did he, though? He told the BBC that he "developed a very good doubles game" and that he "heard at one time" that he was "ranked one notch above Bjorn Borg" in the official ATP tennis rankings … although Borg only ever played in one doubles match. Rogers boasts that he had a "really good serve" that allowed him to stay competitive "even with the pros." Sounds like the Gambler may have been bluffing a little. One could call Kenny Rogers less of a singer and more of a stylist. Adept and experienced in multiple genres, he brings elements of country, rock, pop, and even R&B to his many hit songs. One could also call him a stylist because he's a professional stylist of very nice homes and other private spaces. In 2002, Rogers bought a gigantic mansion in Atlanta's fancy Buckhead neighborhood. He handled all the interior design and redesign himself, something he'd done about 20 times already. Rogers fashioned his house into a faux French castle with themed rooms (e.g., safari, Mediterranean), but he didn't know what to do about the foyer and its 40-foot-high ceiling. So he called a guy he'd met recently, veteran interior designer Jim Weinberg, who proposed a Moroccan look. Rogers and Weinberg loved working together so much that they founded Kenji Design Studios. Kenji (Ken of "Kenny" + Ji of "Jim") has consulted a number of wealthy clients on styling their homes and even landed a contract to do the interior design of a Trump resort in the Dominican Republic that never got built. Despite their notoriously low profit margins, restaurants attract celebrities with cash to burn. Eatery co-owners like Jessica Biel and Ty Burrell generally put their money where the mouths might be, but most celebs don't incorporate their famous names into their establishments. But then there's Kenny Rogers Roasters, the chain of not-fried chicken joints marketed with the vaguely risque slogan "It's the wood that makes it good." In 1991, John Y. Brown, the guy who made Kentucky Fried Chicken into a worldwide phenomenon, teamed up with Rogers on another fowl play, although this time the chicken was roasted rather than fried. 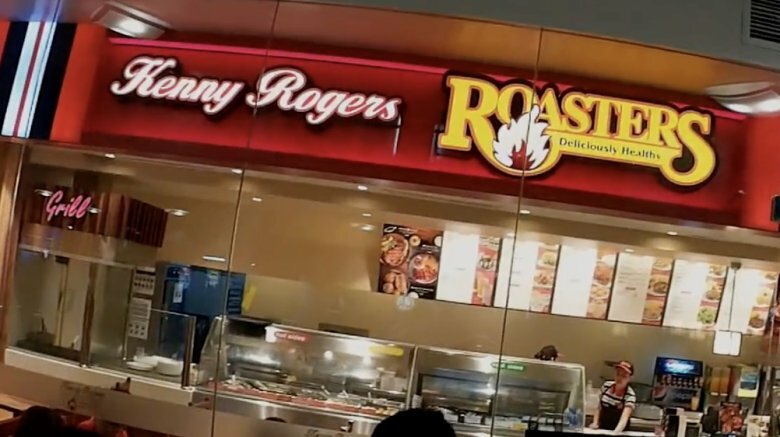 The first Kenny Rogers Roasters opened in Coral Springs, Florida, in 1991, and within three years, the company had more than 100 outposts. While the chain grew to 425 locations, it was bankrupt by 1998 and was soon sold off. The last Roasters in the U.S., in Ontario, California, shut down in 2011, but the franchise still does hearty business in Asia, where the chief Roasters franchiser bought the rights to the company outright in 2008. Rogers was never more than a financial partner and face/name of the company. He didn't develop the marinade or anything like that. In fact, on a 1996 episode of Late Night with Conan O'Brien, the singer failed a blind chicken taste test, preferring NBC cafeteria chicken over his own company's. 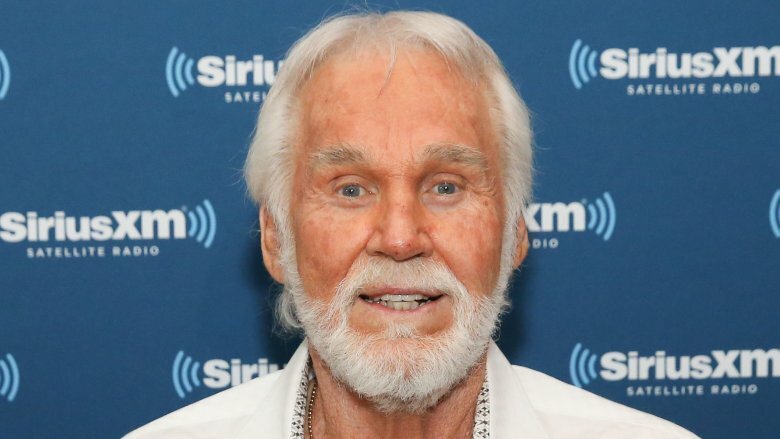 Like so many other aging people, Kenny Rogers wanted to alter his appearance to look younger and thus seem more vital. Most people could do that with a little hair dye to eliminate the gray and white, but that pale mane is Rogers' signature look, so that wouldn't do. Instead, he went the cosmetic surgery route. The singer doesn't look much like he did during his '70s or '80s peak — gone are his narrow eyes and round face, replaced with wide-open peepers and a more pronounced jawline. Rogers has openly discussed going under the knife, and he's not necessarily pleased with the results. "Yes, I have," Rogers told a People reporter in 2006 who straight up asked him if he's had plastic surgery. "Last year I had so many lines coming in at the side of my eyes up here. So I went in and got my eyes done, and I'm not happy about it." He added that his surgeon would shortly "go in and fix that for me" because the botched procedure "drives me crazy." 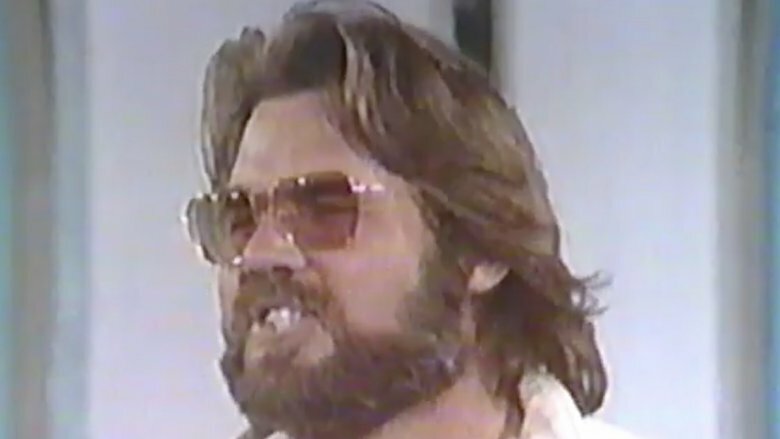 As one of the most successful (and recognizable) stars working in entertainment in the 1980s, it's not surprising that Kenny Rogers was offered a slew of endorsement deals. And he rejected almost all of them because they were primarily offers to lend his name and image to marketing campaigns for less-than-wholesome products. "I've had offers to do commercials for cigarettes, beer, and liquor," Rogers told the Chicago Tribune. "And while I'm not passing moral judgment, I turned them down." But then along came an opportunity he couldn't refuse, either because of the product's noncontroversial reputation or the insane amount of money he stood to earn. In 1986, Rogers signed his first endorsement: a five-year contract to appear in advertisements for Dole products, particularly pineapple juice. It came about mostly because David Murdock, the CEO of Dole's parent company, Castle & Cooke, was friends with Rogers. "I realized it would be a wonderful opportunity if we could get Kenny," Murdock said, "but I didn't want to take advantage of a friend," adding, "as we got to talking money, I realized how expensive a friend could be." So how much? $17 million. By comparison, Pepsi only paid Michael Jackson $5 million to rep them, and that came just after Thriller. Plus they set his hair on fire. 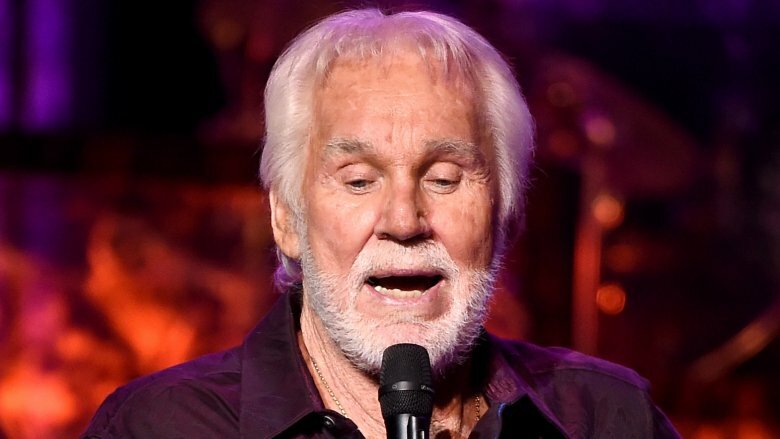 Along with fun country songs, Kenny Rogers found his niche singing unabashedly sentimental love songs for adults of a certain age — "Lady," "You Decorated My Life," and so on. He's a man who sings that which he knows. That is to say that Rogers has a complicated romantic history, with five marriages to his name. His first, to Janice Gordon in his early 20s, lasted just two years and resulted in a son. His subsequent marriage, to Jean Rogers, lasted a bit longer, at three years (1960-1963). Number three seemed charming — he was with Margo Anderson from 1964 to 1976 and had two kids with her. His longest-lasting and best known marriage came with actress (and Dole commercial co-star) Marianne Gordon, running from 1977 to 1993. Rogers' fifth marriage started in 1997. That's when he married Wanda Miller, mother of twin boys. It didn't get off on the best foot, however. There's a 28-year age gap between Rogers and Miller, which freaked out Miller's parents. "Her parents are two years younger than me," Rogers told Fox News. "They called me when we started dating and said, 'We want you to know we didn't appreciate what you're doing with our daughter.'" But in the end, he won them over with that Kenny Rogers charm. "Now they're my best friends." Despite being a celebrity and knowing lots of celebrities from his time hosting Celebrity Apprentice, Donald Trump didn't earn the endorsement of all that many entertainment industry figures during his 2016 presidential campaign. More often than not, actors and singers are bohemians and artists and fall squarely on the political left. Thus, Kenny Rogers made headlines in December 2015 when he tacitly endorsed Trump in the run-up to the Republican primaries. "I really like him," Rogers told the Guardian. "I think his problem is that he says what everyone wants to hear, but he doesn't say it well. I love what he says, I have to admit. He can be president and not owe anybody anything; he's one of the few people [who] has the money to do it, and has the guts to do it." While Trump is a polarizing figure, it was probably far riskier for Rogers to compare him to Dolly Parton, the singer/songwriter/actress beloved by most everyone. Rogers and Parton are close friends, and they collaborated on the 1983 #1 hit "Islands in the Stream," among other things. 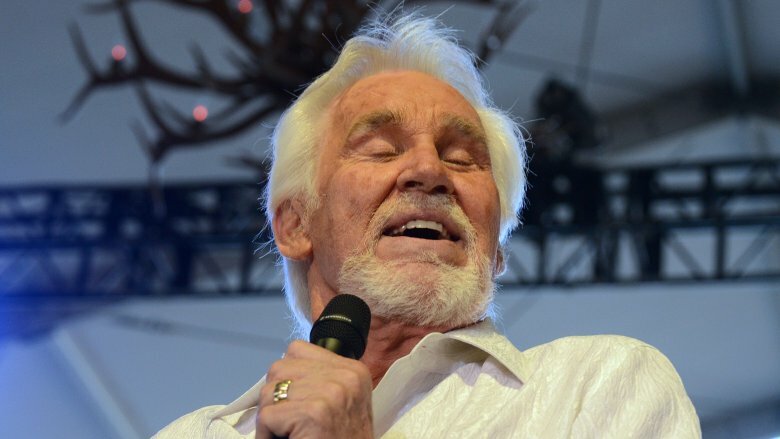 In 2015, Rogers performed at Parton's Dollywood and discussed his eminently quotable host. "She has no filter. If it goes in her mind, it comes out of her mouth. And that's what makes hear special. She has become the Donald Trump of country music." In response, Parton quipped to Rolling Stone, "Me and Donald kind of have the same hair." Musicians party — it's a fact of life. Tales of backstage debauchery are as common in music as stealing riffs from Chuck Berry. 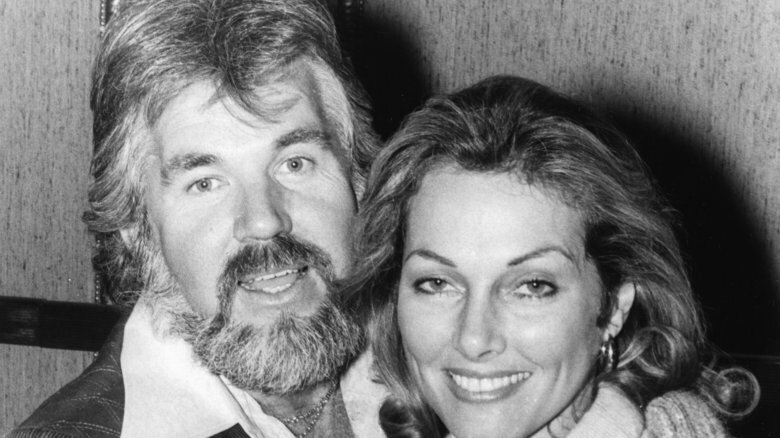 Kenny Rogers has been a professional musician of some sort for 60 years, which means he must have scores of drunken tales … right? In 2012, Rogers released his memoir Luck or Something Like It, in which he recounted a childhood made stressful and unpredictable by a father who drank too much. "He was an alcoholic, but during that time, post-World War II, a lot of people were unemployed and ending up drinking," Rogers told Reuters. "He couldn't really support his family, and I think it just broke him down." As a result, Rogers said, "I never drank in my life. I saw it destroy him and saw it destroy other people I work with, so I made a conscious decision about this." But Rogers wasn't exactly straight edge. He admitted on Anderson Live (via The Boot) that he "didn't do a lot of drugs" but that he "did some." He got turned off after embarrassing himself at a concert. "I smoked pot one night, and I decided to talk on stage," Rogers remembered. "I was having the time of my life, and I came off the stage and the guys in the band said, 'What were you talking about when you went off on this thing about the zoo?'" Most major musicians don't retire — they either fade into the obscurity of the casino and county fair circuit, or die, or pretend to retire and then launch a "comeback" tour. But unfortunately for fans of Kenny Rogers and his deep-throated country pop, the singer had to call it quits in late 2017. "It's hard, hard work," Rogers said of the concert grind to Fox News. "I can't do it like I used to do it. And I swore that I'd do this until I started embarrassing myself." And so, in October 2017, the 79-year-old played his last concert in Nashville. 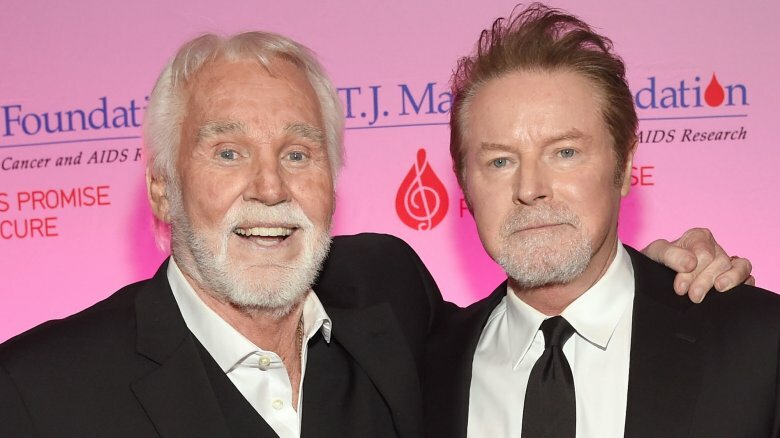 "All In for the Gambler" featured a number of special guests, including Don Henley, Kris Kristofferson, Lionel Richie, and Dolly Parton, who sang "Islands in the Stream" with Rogers and then "I Will Always Love You" for Rogers. After that, Rogers embarked on a two-year "Gambler's Last Deal" tour, although he had to cancel the final dates due to health issues. He's really quitting, too — he promises. "That's always been kind of a rub with me when people retire 10 times," he said. "I'm going out because I need to go out, and I'm going to enjoy my time at home with my wife and kids."